The American Women’s Club of The Hague is a home-away-from-home for Americans and English-speaking women from around the world. Founded in 1930, we are a volunteer-run organization with non-profit status with the Dutch government. 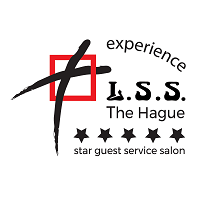 We are dedicated to providing social and educational activities, and we actively engage in philanthropic and community service projects in The Hague, throughout the Netherlands, and globally. The AWC Clubhouse, centrally located in the Statenkwartier, is the venue for many of the Club’s activities. These include General Meetings, craft groups, monthly Book Clubs, philanthropic events, as well as potlucks, wine tastings, and seasonal gatherings. As an AWC Member, you can pick and choose from our weekly or monthly activities, or one of our unique events and tours. Take a peek below at our upcoming events, or check out our most recent issue of Going Dutch. Come share a special evening with friends and make a meaningful difference at the re-Building Lives Benefit, From Trafficking to Independence. We will be supporting for Not For Sale, an organization fighting to put an end to modern slavery. They will be the sole beneficiary of all proceeds. Saturday, April 13th | 6:30 – 10:30 p.m. If you have questions about Membership or any other aspect of the Club, don’t hesitate to call or visit during regular Club hours. Our Front Office is manned on Tuesdays and Thursdays from 10 a.m. until 2 p.m. If the Front Office is closed please email us or leave a message, and someone will get back to you as soon as possible. You don’t need to be an American to join! Membership is available to you if you are at least 18 years of age and speak English. For more information about the AWC The Hague, please visit our membership page. Read the latest monthly magazine! 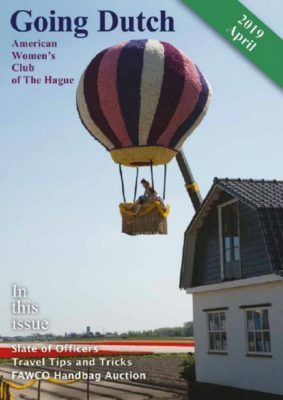 Members receive our fun and informative magazine, Going Dutch, an English-language magazine published from September through June (Eight issues per year) by the American Women’s Club of The Hague. The magazine acts as a bridge between expatriate Americans and the Dutch community. Circulation varies between 300-400 recipients per month, which includes our membership as well as organizations throughout the local community. View and Download your copy today. You don’t need to be an American to join! Membership is available to you if you are at least 18 years of age, hold a US passport or are married to a US citizen or have an affinity with the US. Apply today. Don’t miss out on our semi-annual Kick Offs and annual Holiday Bazaar. 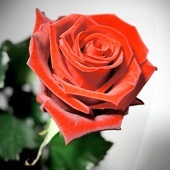 We also host philanthropic special events that donate a portion of the proceeds to charity.